Biomass is any organic matter that can be used as an energy source. Most domestic systems run off wood in the form of pellets, wood chips or logs. They can be designed to heat a single room or to power hot water systems, central heating and underfloor heating. There are two main types of system; biomass stoves and boilers. 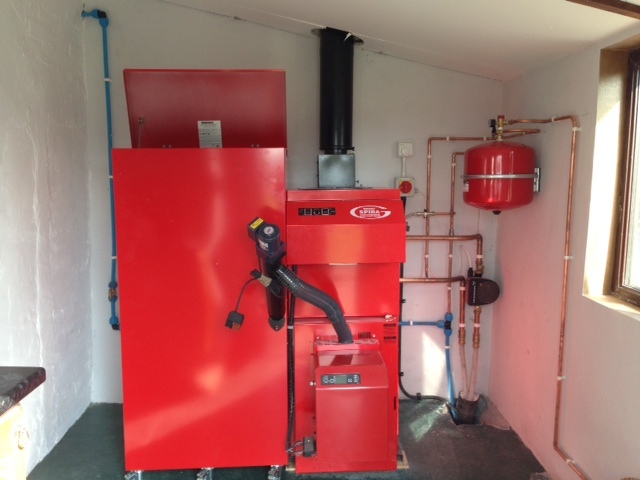 Biomass boilers are designed to provide 100% of the space heating and hot water requirements of the property. Wood pellet boilers tend to be the most efficient and they are the smallest boilers, most closely resembling a mainstream boiler. Both the manufacturer’s appliance and the installing company are required to be MCS registered in order for you to apply for RHI (Renewable Heat Incentive) payments. - Please see News for the current tariff rates. You will require an Energy Performance Certificate (EPC), Room by Room Calculation and GDA (Green Deal Assessment) to be carried out on your property.